“Opal” The Hog Farmer by Samuel E. Warren Jr.
Opal M. DeLong Warren, would proudly proclaim to someone she had just met, “ I am a Missouri Hillbilly.” Opal may not be The Show Me State’s First Woman Hog Farmer, but, she should certainly be in the rankings as “One Of Missouri’s Most Prolific Women Hog Farmers.” From 1960 until 1982, Opal had 25 sows of the Yorkshire, Hampshire and Duroc breeds that raised litters of pigs that averaged 12 to 18 pigs per litter. Of the awards that she earned in her lifetime, one of her favorites was the year, the Galena Chapter of the Future Farmers of America presented her with a Chapter Farmer Award. In 1960, momma and I moved to a farm in Missouri. Through the years, her herd of hogs would expand to 25 sows of Yorkshire, Hampshire and Duroc breeds. Our United Nations of Pork would welcome litters of 10 to 18 pigs, running, rooting and squealing over the landscape for 20 years. In the process, the 10 acres of land would come to resemble the lunar landscape thanks to the dedicated snouts of hogs rooting into the soil. The air was always fresh and clean. The Planning and Zoning argument is silly. If you have a “sensitive nose” – stay the hell away from a farm ! Hogs always got the bad publicity. Yet, all farms have barns, barnyards and feed lots. It does not matter if the farm is a dairy farm, a cattle farm, a mule farm, a horse farm, or a horse ranch, livestock takes care of their daily body functions. 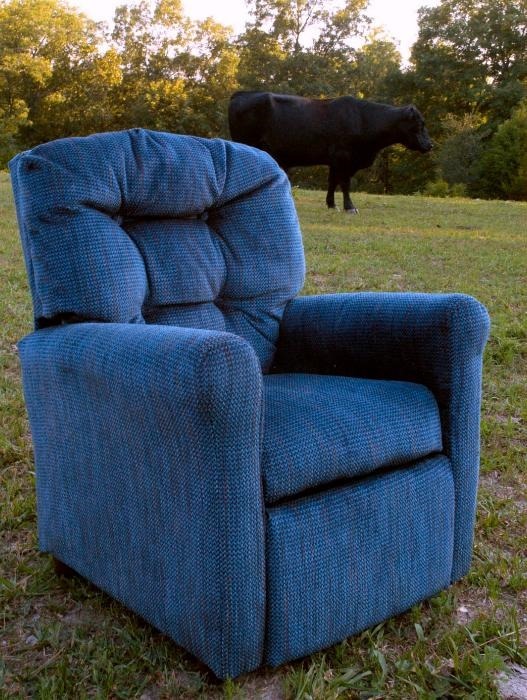 When the breeze shifts, your nose will notice. Manure is manure and it always smells bad. Nonetheless, the 1960s through the early 1980s were “The Good Ole’ Days Of Pork Production,” when hog buyers through the country would stop by and pay you top dollar for a litter of well-fed feeder pigs ready for market. Hungarian bombshell actress, Eva Gabor played the role of the New York City socialite wife, who was miserable living out in the “boonies” on a farm. The actresses discontent is another major element of “truth”: rural life is not as convenient as city life. In Galena, Missouri in 2011, the nearest hospital was at least 40 miles away in Springfield, Missouri and Aurora, Missouri. There is also a hospital about 25 miles away in Branson, Missouri. Medical emergencies rely on the ambulances and sometimes medical helicopter flights. The nearest pizza in the rural area around Galena in 2011 was about five miles away at Speedee’s in Galena or 10 miles away in Crane, Missouri. In the rural surroundings of Galena, Missouri, after 8 p.m., you will have to wait to the next day or get in the car and drive to Springfield, Branson West or Branson if you want a pizza, taco or movie. A curious irony of life in the Midwest is the conservative, religious culture is against “gambling”; yet, farmers are some of the ‘Biggest Gamblers In The World” because nature and weather always seems to be “rigging the deck” against farmers. Everyday is a “Gamble” for a farmer because nature, weather, falling crop and livestock prices can leave a farmer and his or her family homeless in a couple of years. A cow will have one calf a year, while an old sow can have two to three litters a year with the number of pigs ranging from six to 18. In farming, cattle are usually considered as the “Cash Cows of Farm Finances” in raising livestock, but, in southwest Missouri in the 1960s, it was easier to get into hog farming. Hogs provided a stable, consistent revenue stream which allowed a farmer to expand into other areas of livestock production like beef cattle. Momma’s hogs provided the money for her to get a herd of about 50 Black Angus cattle. Photo by Samuel E. Warren Jr. It takes about a year to raise a beef heifer or steer to the size to send to market. It takes a few months to raise a pork litter of pigs to the size to send to market. If you have the land and the money then buy your Stetson, boots, high priced tractors, babe magnet farm pickups, fancy stock trailers and invest in a herd of horses or cattle. If you have a small budget and need to get into livestock farming quickly, buy you a couple of sows, rent you a couple of acres of land away from nosy neighbors and planning and zoning bureaucrats and get into hog farming. Farming is a business like any business with it’s own up and downs. Cattle and horse farming is like trying to build a multinational, global corporation overnight. Hog farming is like realizing you need a small business to build into a global corporation. Momma grew up on a farm, so she knew that hogs is your best overall money-making agricultural investment. Chicken farming and turkey farming makes money, but, there is a sizable investment in building the big, long chicken and turkey houses for poultry. Raccoons, foxes, wolves and snakes love chicken and turkey, perhaps, more than people, so the “hen house” and turkey houses have to be designed to keep out these types of wildlife. Crop farming takes a lot of land and you have to rely on the weather to give you the right amount of rainfall and sunshine at the right time. Weather never cooperates with farmers. Plus crop farming takes several months to get the seeds in the ground up to a harvest height. If the weather doesn’t get you, then, falling prices and insect pests will. After the American Civil War, a small pest,called the “boll weevil” kept cotton crop production down in the south until during the 1980s. Hog farmers usually stand a greater chance of success than other types of farmers based on the investment needed to get up and running and the ability to keep things up and running over time. As you make money, then, you can invest in cattle or crops and consider setting aside your rubber boots for the hand tooled leather cowboy boots to wear to the stockman’s club. 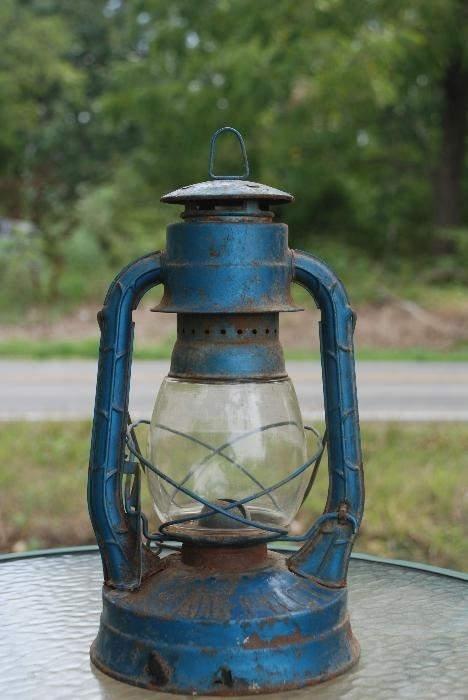 Farmers in the Missouri Ozarks usually called the lanterns, “coal oil lanterns”, instead of kerosene. In the 1960s, in southwest Missouri, electricity wasn’t always stable, especially when heavy snowfall had tree limbs freezing, breaking off and taking down power lines for two to three days at a time. The lanterns provided light in a hog shed at night, which came in handy when an old sow was giving birth to a litter of pigs. By the mid-1960s, Samuel E. Warren, my father, used his electrician skills to put lights in momma’s hog sheds. Still, we kept a lantern, in the corner of the sheds, just in case the lights went out. Photo by Samuel E. Warren Jr.
Momma’s hogs put me through grade school, high school and let me chill out in college until I signed up for a military career. Around 1965, momma got some Black Angus cattle, which made money. But, the real dollars and sense of southwest Missouri farming for our family from the 1960s through 1980 came from the hogs. Opal M. DeLong Warren, my mother, the business woman, knew the secret of financial success is saving and managing your money whether you work in public or are self employed. I should of learned these lessons earlier in life. Perhaps, now, that I have written down these lessons, people will read and understand the common sense Ozarks logic, so that you never go hungry or thirsty and you don’t always have to worry about the roof over your head at night. As long as people enjoy a good steak or a slice of ham, farmers will have jobs. In my country boy opinion, vegans and vegetarians are welcome to their plants and pasture grasses. And, come breakfast, I usually have a “hankerin’” for some pork chops, ham,sausage,and bacon. “Have A Green Christmas” by Samuel E. Warren Jr.
Have Yourself A Green Christmas ! If Christmas Day this year is “too close” to put the”green” in your stockings and brighten up the gifts under your Christmas Tree,then, a simple act of “saving” should be the shine on your Christmas tree and keep more bills in your wallet for next Christmas. Photo by Samuel E. Warren Jr. I always got my “Letter to Santa Claus” request. Regardless of the economic conditions at the North Pole and in “The Lone Star State”, Mom and Dad always made sure I had a “Merry Christmas. As a child, I simply came to expect that I would have a wonderful Christmas. After all, both of my parents were workaholics. My mother left “public work” to stay at home and “raise me.” I appreciate her decision. Throughout my childhood, my dad ALWAYS worked a second job. In 1960, momma and I moved to the farm in Missouri. My mother was one of the few “Women Hog Farmers In The United States Of America”, especially in 1960. Momma raised hogs and used the money to provide for my every need from grade school through college. Daddy stayed on the job in Houston, Texas to “maintain his seniority” and continue working toward a retirement plan. Like most kids, I knew, the vast majority of my toys on Christmas morning came from the money in daddy’s wallet and the cash in momma’s purse. What I never saw was “The Big Picture” of earning a living on a daily basis. The reason the wrapped, brightly colored boxes, sporting bright bows, under the Christmas Tree made my home look like Santa Claus’ North Pole Showroom and a Toys R Us store is because my mom and dad were “bound and determined” that I would have a better childhood than they had. 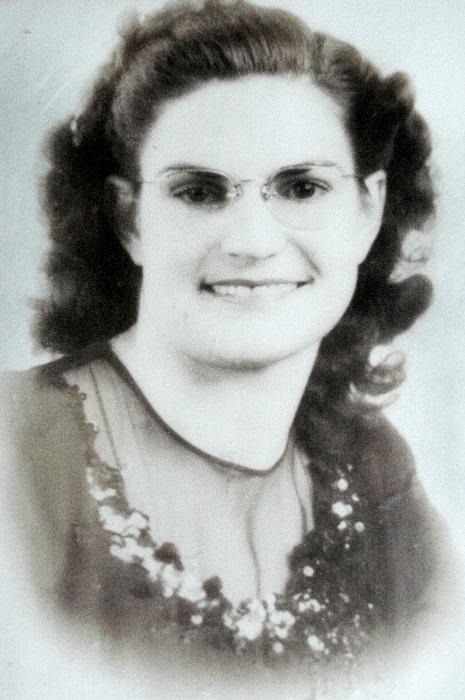 Opal M. DeLong Warren, my mother, was born in a small house in Peach Tree Holler, near Reeds Springs, Missouri. Opal’s mother, Martha, and father, Charley, loaded their personal belongings and their son, Richard, into the covered wagon and moved from Versailles, Missouri to a place, near Reeds Spring in Stone County in 1907. 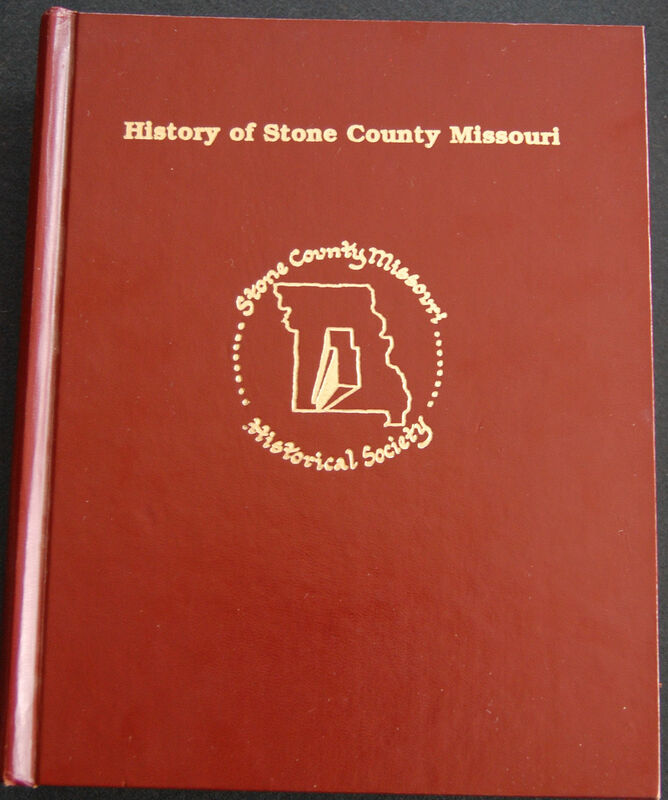 All the rest of the DeLong children were born in Stone County. Richard began farming as soon as he was big enough to do the farm chores. The other boys: Willie, Hobert and Joe didn’t go to school very long. Opal DeLong liked school and graduated from the 8th Grade. Every year, Martha, her mother ordered three dresses a year for Opal out of the Sears and Roebuck catalog to wear to school. She rode a pinto-mix horse, named,”Shorty” to the Wilson’s Creek School in Bear Den Holler. Samuel E. Warren, my father, went to school in Perryville in east Texas. Joseph Samuel Warren, his father, was a tenant farmer, which meant J. Frank Couch, owned the land that “Papa” Warren farmed. “Dirt Poor” is an accurate financial description of my parent’s childhood years. To add insult to injury, Fate unleashed The Great Depression around the time of their teenager years. At the end of the day, Daddy’s financial plan meant, “He had to be a ‘workaholic’, in order to keep earning money to spend. The irony is you spend so much time working,you never have “any fun” spending your money. I remember, Monday through Friday, he would arrive home from work at about 4:30 p.m. He would sit down for supper and talk about his day. He could only relax a few moments and then, he would have to start getting ready for his “night job” as a bartender or bouncer. Sometimes momma would wake me up about 2:30 or 3 am, so I would be waiting for daddy to come home from work. The headlight beams would dance down the narrow driveway and in a few minutes I would smell the aroma from a box of a dozen Dunkin’ Donuts, which daddy usually would stop and pickup on the way home. Daddy did make a lot of money. But, he met himself coming and going. Daddy always had “a wad of bills” rolled tightly that looked like a short, fat, pill bottle, with a rubber band around them that he carried in his front jeans pocket. In addition, to the roll of bills in his front pocket, he always had several bills in his wallet. The roll of bills was one of those “Games Of Life” that when you take it out to pay a bill, people notice and they just naturally assume you are some kind of financial genius. The stated “Big Picture” was daddy and momma were working to build their “Dream Home” on land momma bought in 1938, near her mother and father. From 1960 until his death in 1978, daddy always made two trips a year to Missouri. One vacation trip always came for the Fourth of July. The second vacation trip depended on the vacation schedule at Cameron’s, which meant his two weeks began either at Thanksgiving or Christmas. Whenever he came to Missouri, he would stock up on three-pound cans of Folgers coffee. He said it was cheaper to buy the coffee in Missouri. About once a year, he would buy a huge coffee pot that could make about 50 cups of coffee. Daddy wasn’t a shopper. He went into a store, picked up what he needed and paid the cashier at the checkout register. However, if Sammy walked past Craftsman tools, he would stop and browse slowly at all the tools. Daddy loved Craftsman tools and bought all kinds of Craftsman wrenches, vise grips and other tools. One trip each year, daddy would “shop” for a new coffee pot to take “to the plant.” He would shop around at the different stores and compare the features of the coffee pots. I have, no doubt, there are people who bought bass boats with less research than daddy put into buying the right coffee pot. Despite his dedicated “shopping around for the right coffee pot”, he always ended up with the same type. And, he would buy a huge cardboard box full of Styrofoam cups to take back to Texas. I remember the huge coffee pots because their shiny silver cylindrical design made them look like huge vacuum tubes that went into the back of a radio. In 1978, daddy was suppose to leave at the end of June for his Fourth of July trip to Missouri. He never arrived. The Houston Police Department notified momma of daddy’s death at home. A few days after daddy’s funeral, momma and I made the trip to Houston. We found Folgers coffee cans stored in rooms around the house. Each can was filled to the plastic lid with mixed change from pennies to half dollars and a few silver dollars. The cans all had coins and none of the coins had been wrapped. 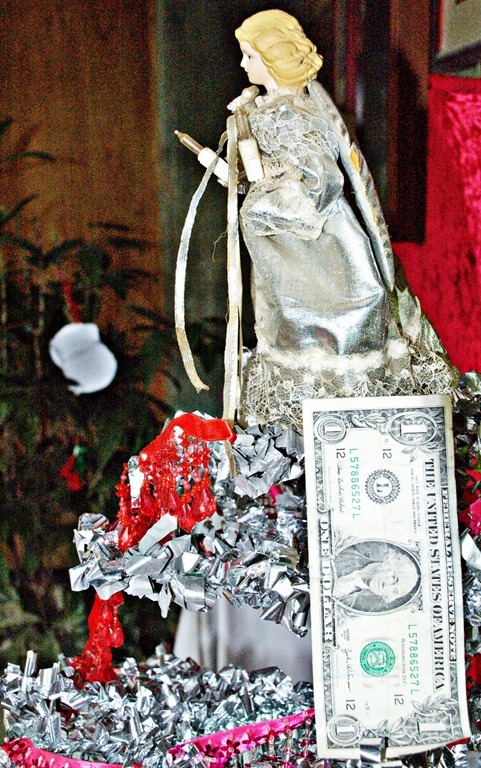 Momma asked Wanda Brinkley, a next door neighbor for help in wrapping the coins. Wanda had momma take the coins next door to her mom and dad’s house, Mr. and Mrs. Pete Pippins. Momma ordered the pizzas. All day until after midnight, Momma, Wanda, Mr and Mrs Pete and I wrapped coins. Wanda’s two daughters, Donna and Debbie also joined the coin wrapping adventure. At this point in US history, American banks did not accept coins unless they were wrapped in bank wrappers. Using the bank coin wrappers that daddy had on hand and some of the wrappers that Wanda had, we all wrapped coins all day and until well past midnight, It was after 2 am, when we finished. The next day, Wanda, Momma and I went to the drive thru lane of the local Reagan State Bank. Wanda would put about 10 rolls of coins at a time up to the drive thru teller’s window. “You have a lot of coins,” remarked the teller. “My husband, Sammy had the coffee concession where he worked. He died recently. 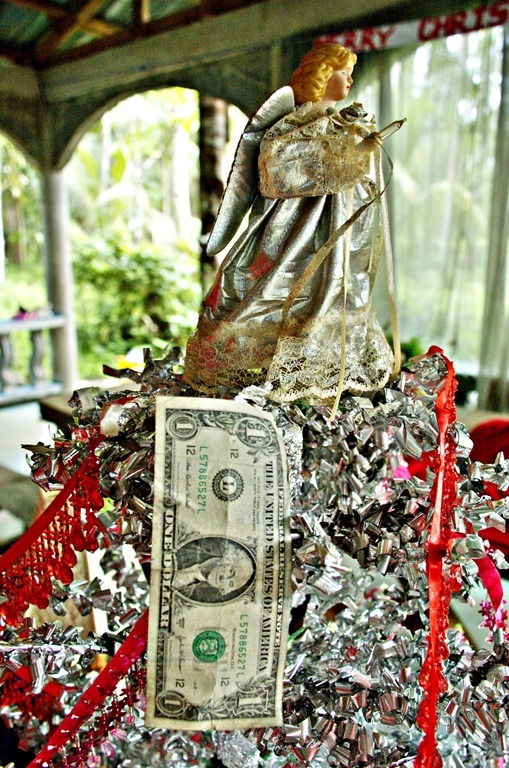 We just discovered, he never wrapped any of the coins from the coffee fund,” explained Momma. The teller nodded. A bank guard showed up with a dolly. The teller seemed to slow,at one point, in tallying the amount of coins. We sat in the car at the drive thru for a couple of hours. After about an hour, the bank guard emerged from a side door with the rolls of coins in the familiar purple bank sacks stacked neatly on the dolly. He pushed the dolly slowly across the several lanes of the drive thru into the rear entrance of the main bank. 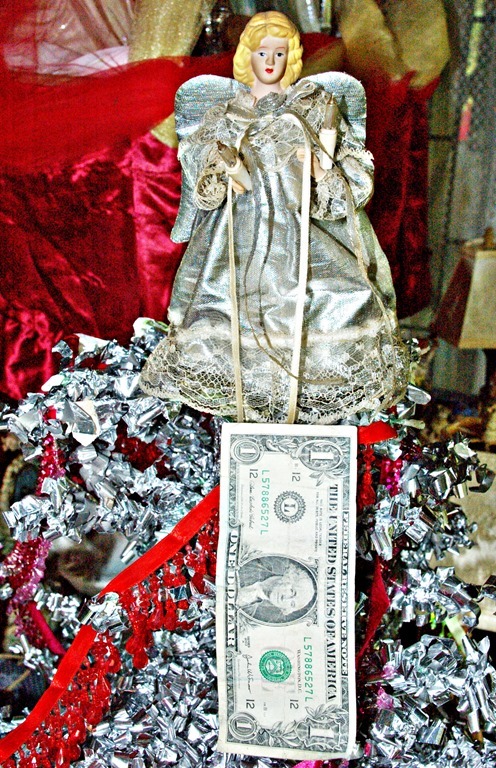 The bank guard made about four more trips with his dolly from the drive thru to the bank. A couple of days later Wanda spoke to a friend, who worked at the bank. The friend had heard about all those sacks of coins that came through the drive thru. The friend laughed and told Wanda it was not uncommon for people to drop of rolls of coins at the drive thru and she told Wanda the rest of the story. Then, Wanda Brinkley, telephoned momma. “When we dropped those coins off at the bank. The bank got worried and called the local office of the FBI. They told the FBI why they were calling and asked the bureau to check for recent bank robberies because they could not believe that anyone would save that amount of coins. “ While we were waiting in the drive thru lane and the teller seemed to be taking the time tallying up the coins, they were waiting for a call back from the FBI to tell them if there were any reports of bank robberies where a large amount of coins had been taken,” Wanda explained and laughed. We wrapped about 20 three-pound coffee cans of coins to take to the bank. Momma also brought about 10 cans of unwrapped coins with her back to Missouri. It was two or three years before I ever wanted to wrap rolls of pennies, nickels, dimes, quarters,half dollars and silver dollars. My father died at age 52. The Harris County, Texas Corner’s Report listed the cause of death as a “possible ‘double heart attack.’” Daddy had literally “worked himself to death” through the years. Momma always put aside a few dollars to have when she needed it. “Save” wasn’t a word, it was a philosophy and a way of life. People would tease my mother that she probably had the “First Dollar” she ever earned. Momma would smile and shrug off the comment. Opal M. DeLong Warren was “never broke.” Maybe, she didn’t have a lot of money in her wallet or handbag, but, Momma was “never broke” financially. During World War II, US Army doctors had told daddy that he had contracted “malaria in the Philippines.” In the late 1940s and early 1950s, the Veterans’ Administration wasn’t always able to convince Congress to provide medical care and decent pensions to veterans. In the early 1950s, momma found out that daddy was eligible for VA medical care payments thanks to the hard-nosed efforts of Texas Congressman and Speaker of the United States House of Representatives Sam Rayburn. Momma reminded Daddy that some days it seemed difficult for him to get out of bed to go to work. Grudgingly, Daddy did the paperwork and accepted “Uncle Sam’s Official Help”, which didn’t last that long. By then, daddy’s health had improved and he did go to work everyday. Martha Lou Marcum DeLong, my grandmother, kept her coins in a coin purse and her dollar bills in a sugar bowl in a plain white dish cabinet in the living room. Everyone knew Grandma DeLong had worked hard all her life, but, Missouri’s “old age pension” provided her the money to live out her senior citizen years. When daddy died in Texas, I asked momma if we could bring his body back to Missouri for burial. I went to the bank with momma. She told the banker, “I need money to bring my husband’s body back to Missouri for burial. 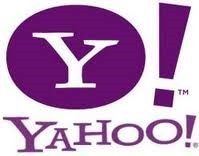 I don’t know, when or how I will pay you. But, you will get your money back.” I watched momma tell the banker those words. In the 21st Century, most bankers would find a polite way to show the widow to the door out of their office. In 1978, the banker nodded, “Okay, Opal. When you know how much you need for sure, let me know. You’ll get the money,” I heard the banker tell momma. I was already a college student, so I was impressed that a banker would listen to a widow without demanding various forms of collateral. The banker wasn’t gambling; he was investing. In the late 1970s and early 1980s there was an active real estate market in Missouri and Texas. Samuel E. Warren was laid to rest in Yocum Pond Cemetery, near Reeds Spring Missouri. The financial cost of moving daddy’s body from Texas to Missouri was $7,000. The bank let momma borrow the money. Momma paid the bank off ahead of time. Momma used money she already had saved for the associated funeral expenses and the double headstone. Uncle Sam provided the “foot marker” that was placed at daddy’s grave. If a relative was out to buy a big screen TV, then, they were on their own. But, if it was a valid emergency like a mortgage, insurance, food for their kids or medical bills then momma would “loan” the money. A few of my relatives paid Momma back. The majority did not. Momma quit farming around 1982. The only “risky investment,” momma ever made, other than her son, was in Land. Through the years, momma would tell me that people had called her and tried to sell her land in Galena or elsewhere in southwest Missouri. I asked momma why she passed on the offers. “I have the land I want. 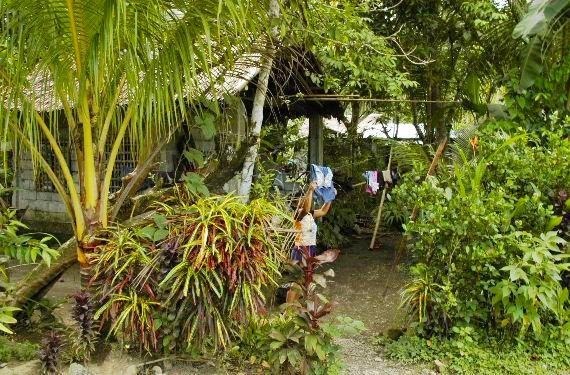 The land I have been offered isn’t land I would want to buy at any price,” Momma would answer. Momma lived on one parcel of land. She could open her front door and look across the road to see the land that she had bought back in the 1930s. At age 84, momma left “The Real World” in 2004. She had a double wide home that had central heating and air conditioning. She never went hungry and there was always food in the ice box and the pantry. She always had her coffee and cigarettes. When she went to the doctor or the hospital, she could always pay her medical bills. Momma and daddy made sure I always had a wonderful Christmas. I got enough toys to outfit a museum. I was an “Only Child”, which meant I had to play by myself most of the time, but, I had a huge wooden toy box in the garage full of toys to choose from each day. In Missouri, every other weekend or so, my Cousin Donna would be at Grandma DeLong’s and Uncle Richard’s. I would of brought toys with me or we would go off in the woods to play. In Missouri, the toys were in a big cardboard box in the garage. As a child in Houston, Texas, I had a tricycle. It was made out of heavy black metal. It had a large wheel in the front and two smaller wheels on the side. I would zip up and down the concrete driveway of 313 East 26th Street on my tricycle. Of course, when I got stationed in the Republic of the Philippines in 1988, I quickly learned the word, “tricycle” had a totally different meaning in the Philippines. Saturday afternoon, Ramon explains the neat features of his tricycle to his family. 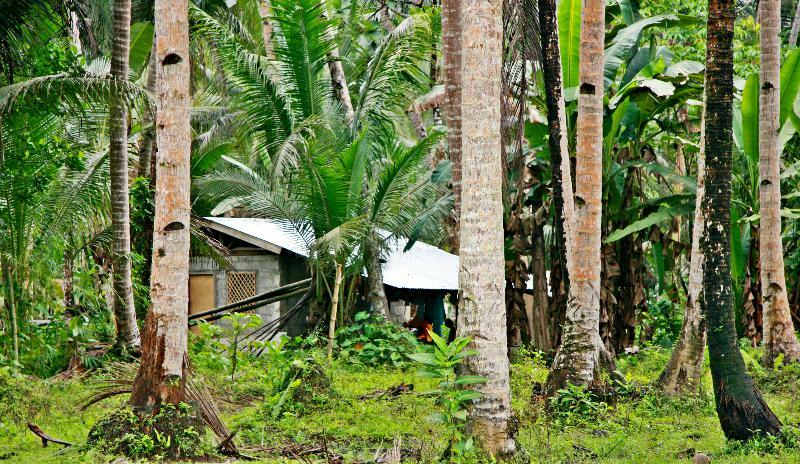 Canon EOS 40 D Photo by Samuel E. Warren Jr.
Monday, March 5, 2012 – The sun rises in the Republic of the Philippines and the morning breeze of Leyte carries the sound of a new tricycle through the coconut trees. Ramon bounces along on this older motorcycle to try and use it to move sacks of coconuts. 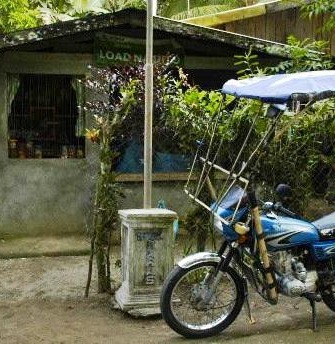 In the Philippines, a motorcycle can sometimes be expected to perform like a farm pickup in the United States. Saturday, Ramon Q. Saldana Jr., took delivery of his new tricycle. While Ramon got his new Honda TMX 155 motorcycle, February 24, 2012, he had to wait for the sidecar modification. February 24, 2012 — Ramon is proud of his new motorcycle. He is happy to pose for a picture. Of course, once you get the motorcycle, then, you have to wait for the sidecar to be built to transform the motorcycle into a tricycle. Canon EOS 40 Photo by Samuel E. Warren Jr.
Once Ramon got his motorcycle, he would need a sidecar modification to turn the motorcycle into a “trike.” In the Philippines, a tricycle, often called a “trike,” is a motorcycle with a sidecar that is used to transport passengers and products. Ramon visited a local welding shop, in a nearby barangay, famous for their sidecar modifications. His name was placed on the waiting list behind the other orders. It appeared, at the time, that it might be the second week of march before the shop could begin work on his motorcycle for the conversion. Ramon picked the color and the design and in a matter of days, his new tricycle was ready to ride. Ramon gives his sister, Christy Warren, and his brother, Rafael a ride in his trike. Of course, vehicles have to be licensed and registered. The paperwork procedure proceeded along on schedule. 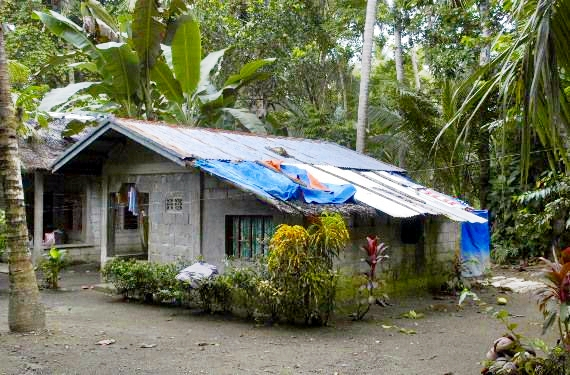 Unfortunately, electricity in Leyte is not always reliable. Ramon was finally able to heed, “The Call Of The Open Road.” Now, Ramon get to zip up and down the road on his trike taking passengers to their appointments and taking kids to and from school. Ramon heeds “The Call Of The Open Road” and motors along the highway on his trike. 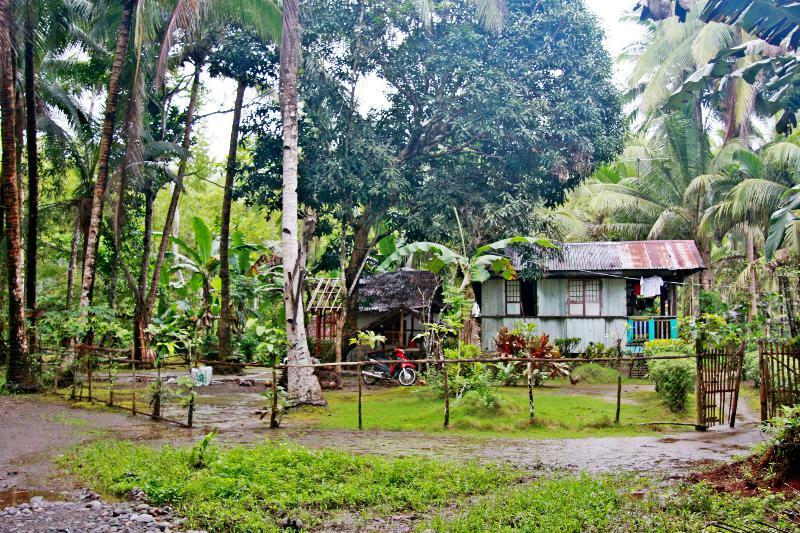 Leyte Land — Photos by Samuel E. Warren Jr. 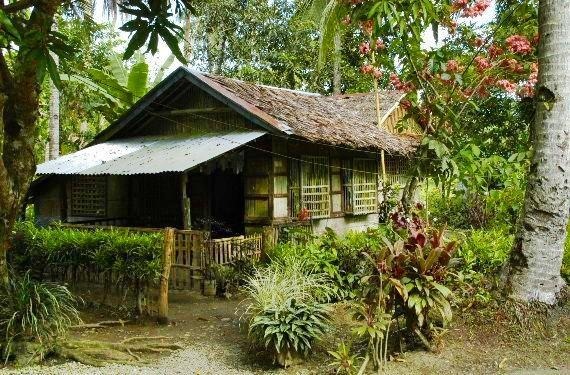 If you have ever dreamed of a farm in the country – here is a farm in the country of the Republic of the Philippines. 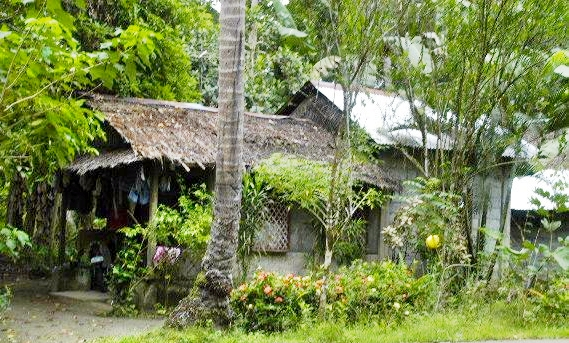 This rural homestead is in the jungle, on the island of Leyte, in the Barangay of Baras. 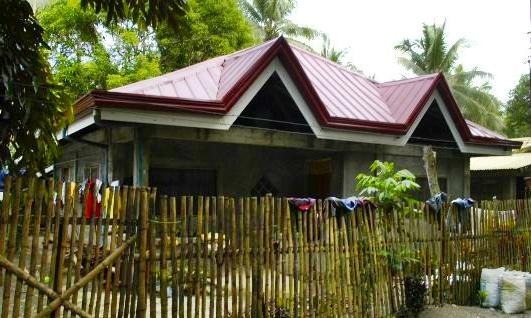 Homes are all different depending on the families that live in them and the terrain that the house is constructed on. 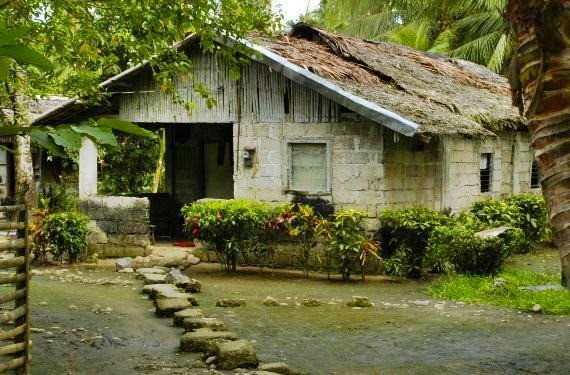 If you have ever been to rural areas of the Ozarks, at first glance, the rural homes of the Philippines might not seem that different, except, of course, instead of sycamore, walnut, white oak and black oak trees; there are the coconut trees. Canon EOS 40 D Photos by Samuel E. Warren Jr. The Ozarks has brush like briar bushes, poison oak and poison ivy vines, old grape vines dangling out of the trees to blend with the pasture grasses. 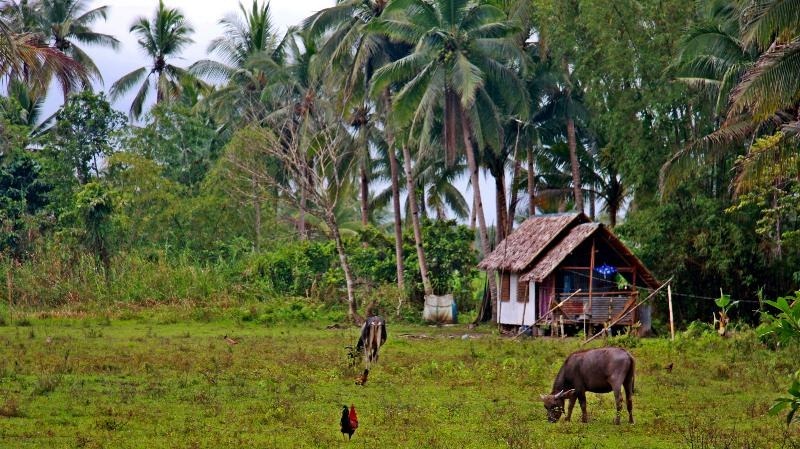 In Leyte, in the Philippines, you have dense green grass that spreads into the rural jungle, which accommodates rice fields and coconut trees. 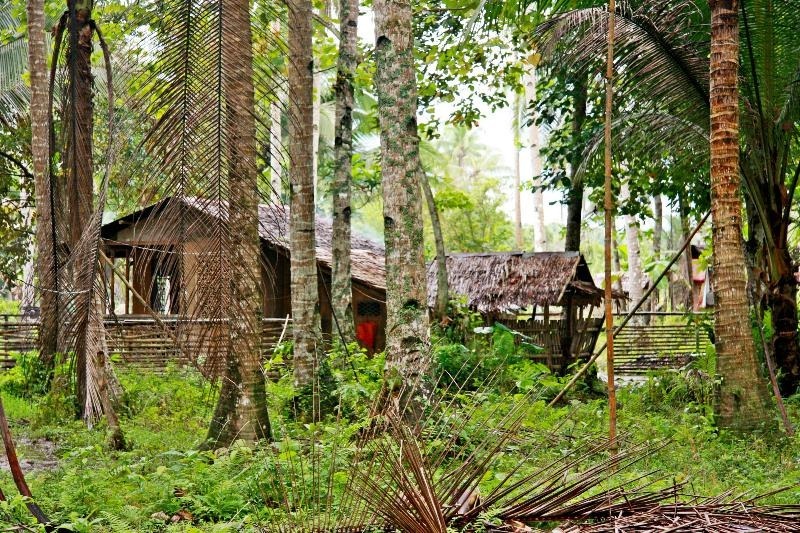 On this walk, I took my camera and strolled about a quarter of a mile into the jungle. 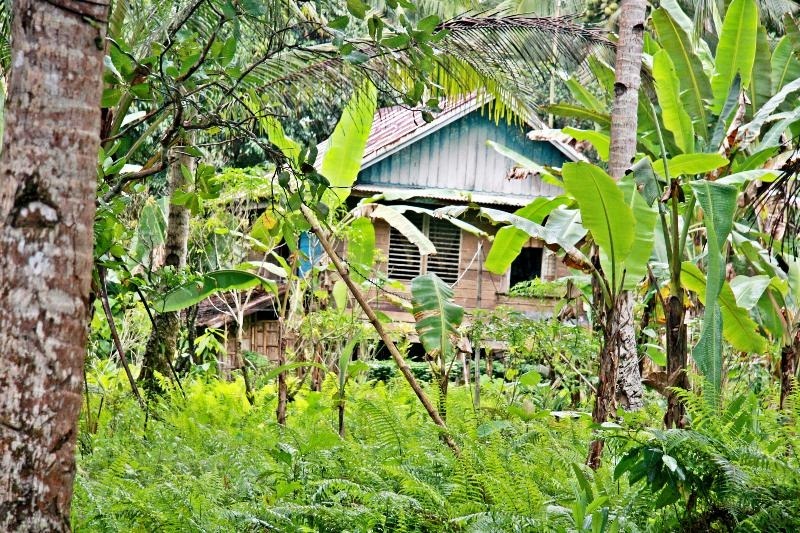 Ecology architects should appreciate how well the homes seem to blend into nature. 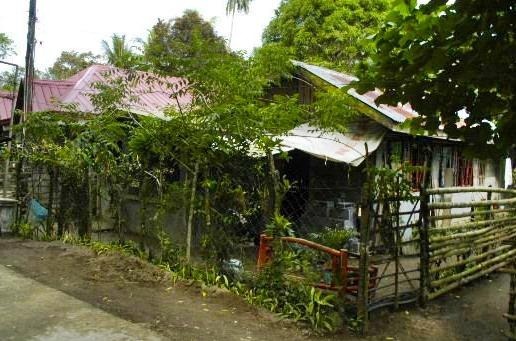 On another walk, I took my camera and strolled up the road to photography homes beside the road up to the barangay boundary. Nikon D 100 Photos by Samuel E. Warren Jr. 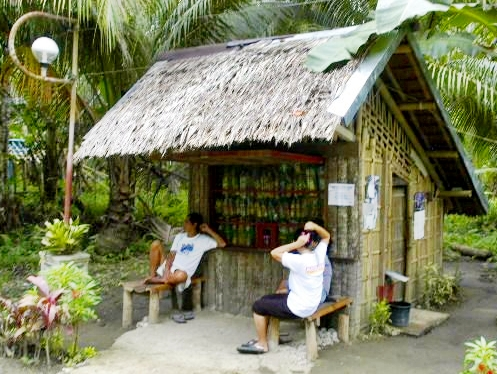 The Sari-Sari Store, in the photo below, is a quick stop for everyday items used in households from snacks to toothpaste to soda and washing detergent. 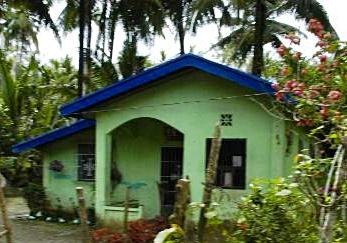 This sari-sari store is near the Barangay Baras and Barangay Cameri boundary. 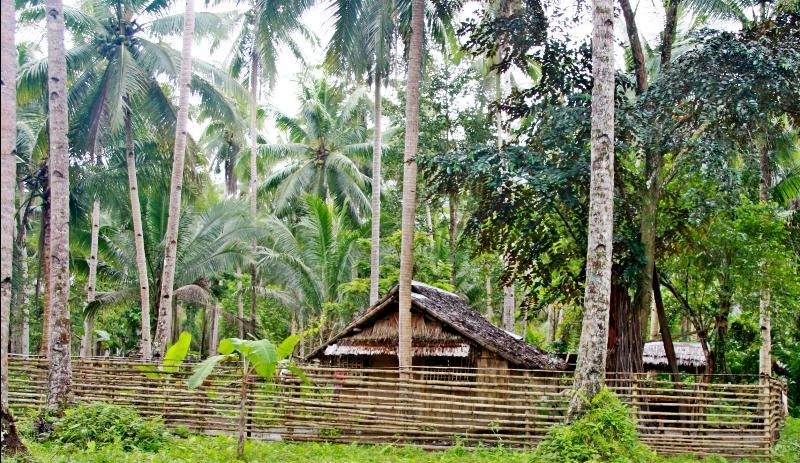 Nikon D 100 Photo by Samuel E. Warren Jr.
Flickr Tags: Leyte Land, by Samuel E. Warren Jr, homes, houses, buildings, structures, architecture, construction, bamboo, concrete, living quarters, billets, families, terrain, geography, landscape, land, Ozarks, rural, farm, Philippines, sycamore, walnut, white oak, black oak trees, coconut trees, briar bushes, poison oak, poison ivy vines, old grape vines, pasture, grasses, eastern visayas, island, tropics, P.I., rice fields, jungle, ecology, architects, nature, photography, barangay boundary, Canon EOS 40 D Photos by Samuel E. Warren Jr., Nikon D100 Photos by Samuel E. Warren Jr.
Take a camera and stroll a few yards through your neighborhood and you see houses. In subdivisions, the style tends to be uniform. 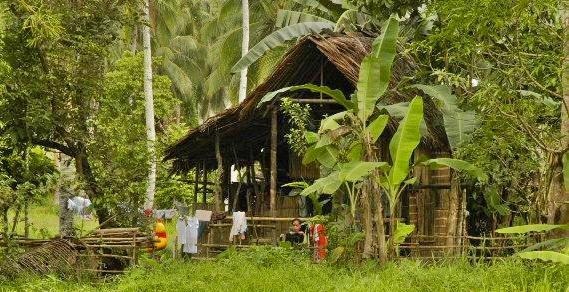 In rural settings, the homes always tell a story of the people that live in them. The style and size of American farm homes in the 1800s, always revealed the impact of weather and nature, by the location of the home, and the materials used in construction. The idea of form follows function seems to be a useful idea in construction from budget to building. The photos of these homes in my neighborhood, a few yards from my front door and reveals that the tropical temperatures and climate are a consideration in construction and style.